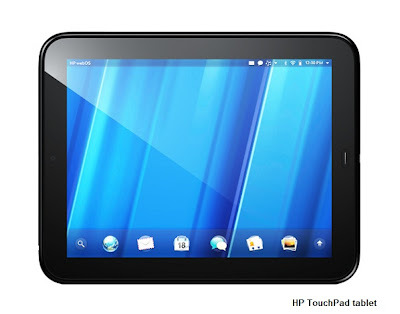 HP TouchPad review. Today at Test and Review we are going to take a look at one of the better HP tablets. The fully packed with features 9.7-inch HP TouchPad has a 1.2GHz dual-core Qualcomm processor and 32GB storage space. The HP TouchPad is a feature-rich, 9.7-inch tablet PC that keeps you entertained and also allows you to be productive on-the-go. This HP tablet PC allows you to print wirelessly to supporting HP printers on a local Wi-Fi network. The HP TouchPad works on the webOS that lets you multitask seamlessly between multiple applications and activities. With built-in Wi-Fi connectivity, this HP tablet PC allows you to surf the internet wirelessly. With the 1.2GHz Qualcomm Snapdragon dual-core APQ8060 processor inside, this 9.7-inch tablet PC allows smooth computing as well as optimizes the graphics to bring alive your games and movies.